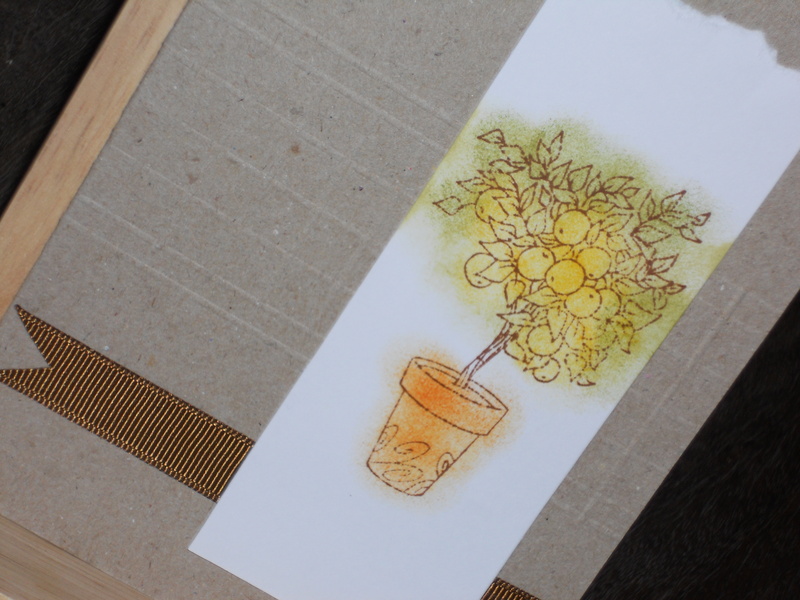 Birthday card for John F.
Inspiration from his lemon tree in an old wine barrel near the house. Score vertical and horizontal lines in the centre of the natural coloured card. 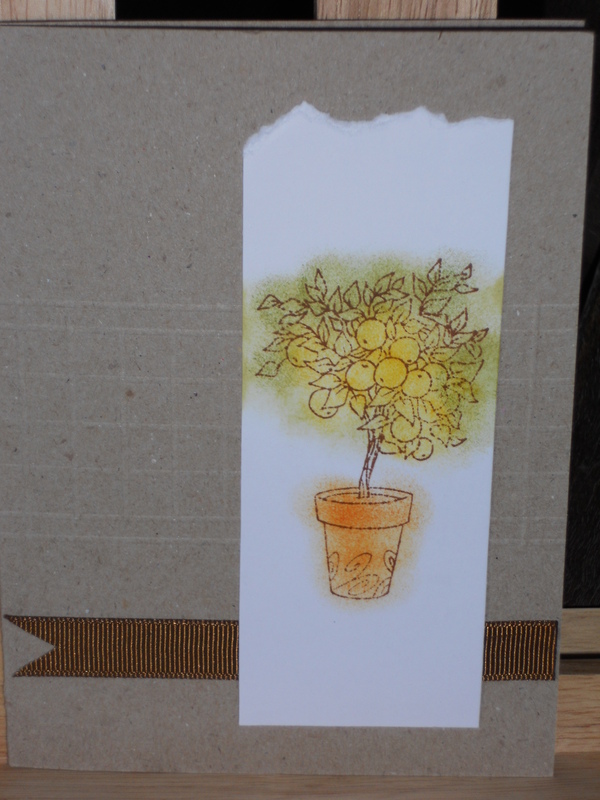 Stamp Lemon tree on white card stock, colour with Distress Ink and tear the top for effects. Place brown ribbon on card and behind the white stock card.